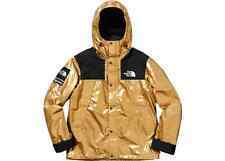 SUPREME X TNF NORTH FACE SNOW MOUNTAIN WINDBREAKER ZIP HOOD JACKET LARGE L NEW Condition is BRAND NEW. Shipped WORLDWIDE with USPS Priority Mail. Supreme NorthFace Expedition Fleece Polar fleece with GORE-TEX Cordura® nylon ripstop panels, fully sealed seams and poly lining. Full zip closure with zip hand pockets at lower front. Patch pockets on chest with velcro flap closure and side zip entry. Elastic cuffs and hem with logo Item is 100% Authentic DS in plastic Size XL Bought from Supreme BK Check out my other listings !!! One of the best pre-owned on market you can also check my Grailed Account I have 30 refs. But no cracking nor stains. Pit vents. - 22" across the chest (armpit to armpit). - 19" across the shoulder. - 27" length. - 3 zippered inside pockets. - Rare and hard to find size SMALL. Supreme X Northface By Any Means Necessary Mountain Pullover 2015, 100% authentic. A very rare item now that will keep going up in price!! Worn but in great condition, flaws just from general wear. Have it also posted on my grailed account ( Ayoviktor). Thank you! The shoes will be double boxed. I do not buy or own fake. NO TRADES. - NO ECHECKS. LEGIT Supreme x The North Face S/S Chrome Tee Black Size L Large TNF. Condition is New with tag and plastic. Authentic product made from high quality materials exclusively for the Supreme brand out of New York City. Purchased from the supreme website at time of release. Will come with supreme box logo sticker. Condition is New in bag. Supreme x The North Face TNF Down Nuptse JACKET Brown Fur Print - Size Large. Condition is (lightly) Pre-Owned, well taken care of from a smoke-free home. Fleece-lined pockets, inner chest/body pocket to store jacket in or other items. Very small hole in lower back (circled in blue in photos), but that is the ONLY damage...zippers, drawstrings, velcro for hood storage are all perfect. Shipped with USPS Priority Mail. Pre-Owned (there is a tiny rip on the inside of left sleeve it is not noticeable and can be easily repaired). Trans Antarctica Gore Tex Pullover Jacket. Good Luck! Supreme The North Face Arc Logo Organizer Black. Condition is New with tags. Shipped with USPS Priority Mail. A photocopy of the original receipt is included. All of Our Clothing are Consigned to Us and are 100% Authentic. The cuffs to the jacket are elastic as well. The jacket features many pockets that are very settle. There are pockets inside the jacket and several pockets around the chest area of the jacket that are Velcro and zipper. The North Face 1990 Mountain Jacket M GTX (Goretex) TNF BLACK Supreme Fit. Condition is New with tags. Shipped with USPS Priority Mail. 100 % authentic brand new Supreme x The North Face “By Any Means Necessary” Mountain Pull Over Jacket Sz M. Condition is New with tags. Comes with original everything including a copy of receipt. If you have any questions feel free to message me. All sales are final, no refunds. Thanks for viewing! Supreme x The North Face Bandana Mountain Jacket Size: Large Condition: Lightly worn and Dry Cleaned Released : F/W 14 Purchased from: Supreme webshop For additional pictures, questions, or offers feel free to send a direct message. Limited amounts were scattered across the globe, and people camped for hours in advance to hopefully have a chance to secure the jacket. The jacket officially released 4/7/2016. I do not buy or own fake jackets. MATERIAL :UPPER BODY LINING: 100% POLYESTER; LOWER BODY, SLEEVE, HOOD LINING: 100% NYLON. COLOR :BLACK/SILVER. DEADSTOCK WITH TAGS STILL IN PLASTIC From Supreme FW18 week 9: I am selling the Red Leather body mountain parka in a size medium in mens. Please feel free to message me with any questions listing price is obviously negotiable and in no rush whatsoever to sell. Thanks! supreme x the north face mountain parka. Condition is New with tags. Shipped with USPS Priority Mail. Please ask any questions you’d like!! Supreme x The North Face Arc Logo Mountain Parka | Yellow | Xlarge | E Confirmed. Condition is New with tags. Shipped with USPS Priority Mail. 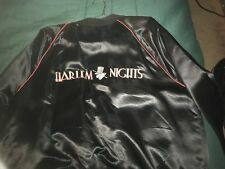 MATERIAL :UPPER BODY LINING: 100% POLYESTER; LOWER BODY, SLEEVE, HOOD LINING: 100% NYLON. FRONT LENGTH :X. COLOR :RED/SILVER. BACK LENGTH :X. SLEEVE LENGTH :X. SHOULDER :X. SIZE :LARGE. Feel free to ask more details pics~.